Come on, admit it, you've had this question. 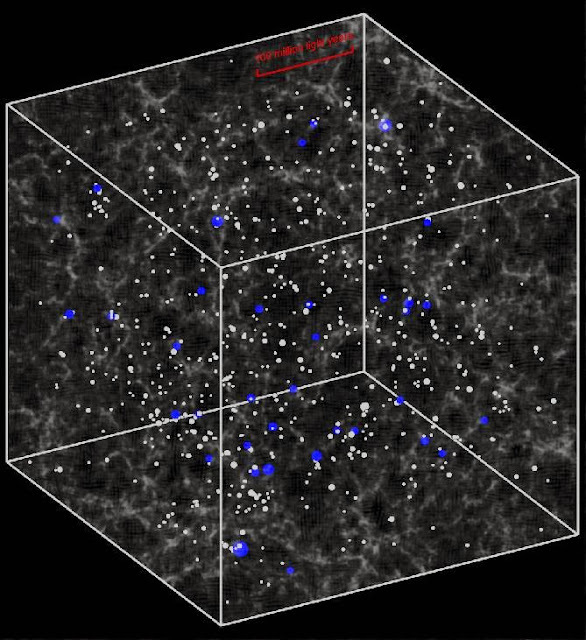 "Since astronomers know that the Universe is expanding, what's it expanding into? What's outside of the Universe?" Ask any astronomer and you'll get an unsatisfying answer. We give you the same unsatisfying answer, but really explain it, so your unsatisfaction doesn't haunt you any more. The short answer is that this is a nonsense question, the Universe isn't expanding into anything, it's just expanding. The definition of the Universe is that it contains everything. If something was outside the Universe, it would also be part of the Universe too. Outside of that? Still Universe. Out side of THAT? Also more Universe. It's Universe all the way down. But I know you're going to find that answer unsatisfying, so now I'm going to break your brain. Either the Universe is infinite, going on forever, or its finite, with a limited volume. In either case, the Universe has no edge. When we imagine the Universe expanding after the Big Bang, we imagine an explosion, with a spray of matter coming from a single point. But this analogy isn't accurate. Imagine the balloon is inflating. In every direction you look, other ants are moving away from you. The further they are, the faster away they're moving. Even though it feels like a flat surface, walk in any direction long enough and you'd return to your starting point. You might imagine a growing circle and wonder what it's expanding into. But that's a nonsense question. There's no direction you could crawl that would get you outside the surface. Your 2-dimensional ant brain can't comprehend an expanding 3-dimensional object. There may be a center to the balloon, but there's no center to the surface. Just a shape that extends in all directions and wraps in upon itself. And yet, your journey to make one lap around the balloon takes longer and longer as the balloon gets more inflated. To better understand how this relates to our Universe, we need to scale things up by one dimension, from a 2-d surface embedded in a 3-d world, to a 3-d volume embedded within a 4-d universe. Astronomers think that if you travel in any direction far enough, you'll return to your starting position. If you could stare far enough into space, you would be looking at the back of your own head. And so, as the Universe expands, it would take you longer and longer to lap the Universe and return to your starting position. But there's no direction you could travel in that would take you outside or "off" of the Universe. Even if you could move faster than the speed of light, you'd just return to your starting position more quickly. We see other galaxies moving away from us in all directions just as our ant would see other ants moving away on the surface of the balloon. 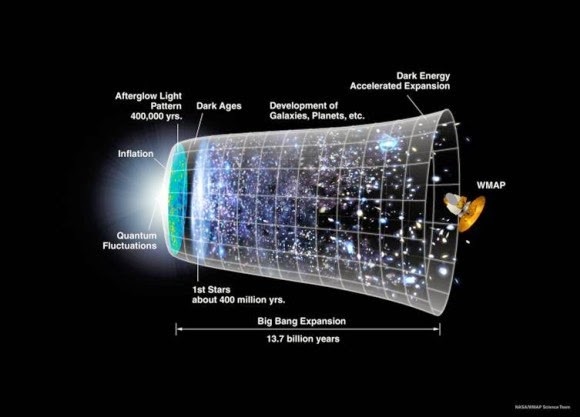 I hope this helps you understand why there's no answer to "what is the Universe expanding into?" With no edge, it's not expanding into anything, it's just expanding.